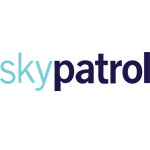 Skypatrol is a software developer and hardware manufacturer in the area of global positioning. The company started its activities in 2002 with founding its headquarters in Miami (Florida). Nowadays company partner network covers more than 25 countries worldwide. Skypatrol aims at multidimensional business: fleet management, stationary assets tracking, participation in sporting events and even more.